So Lonely in Gorgeous: Pat Me A Mani As Fast As You Can! 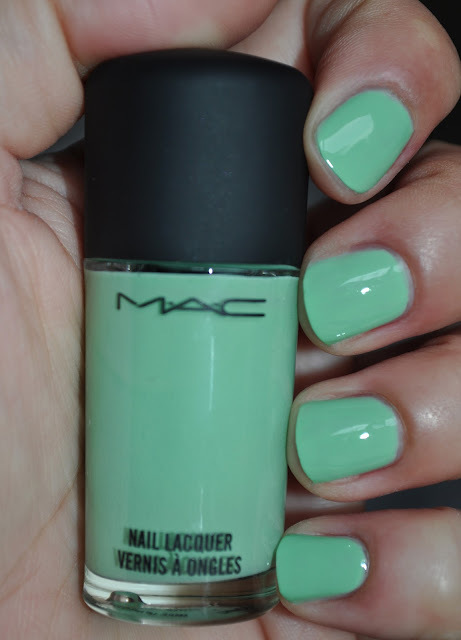 This weeks mani is an old Spring/Summer favorite...Mac's Nail Lacquer in Peppermint Patti. Peppermint Patti was released in Mac's Sugarsweet Collection back in 2009. Peppermint Patti is a creamy mid-tone vibrant jade-celadon green with a yellow undertone. This polish SCREAMS Spring! The only drawback with Peppermint Patti lies with its watery formula. Although the nail polish goes on kind of streaky, it's not difficult to work with, and all signs of unevenness are gone after three coats. I've been wearing this polish for three days now, and I've already received several compliments, a girl who works at my local drugstore even stopped to ask me what I was wearing on my nails. With all the new polishes I've been adding to my collection, I've totally neglected Peppermint Patti and forgotten how much I love it. Peppermint Patti is simply BEAUTIFUL!!! What are some of your favorite greens for Spring/Summer? 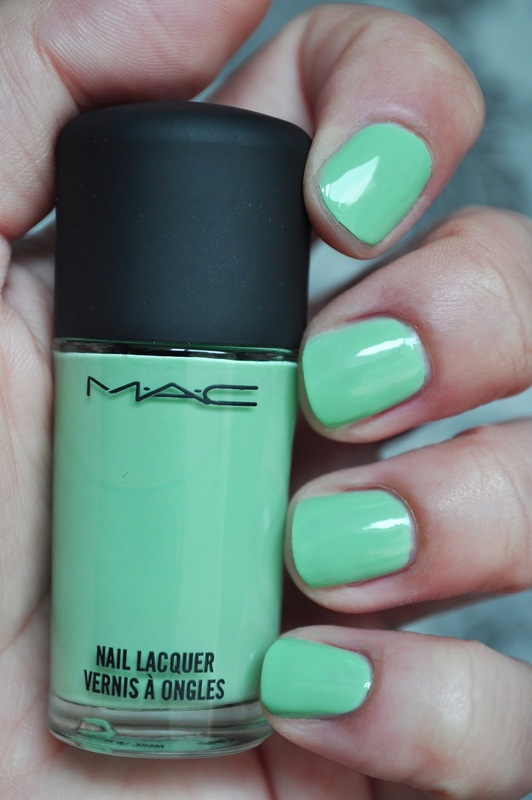 how awesome is this colour?! so vibrant! Love love love this color!! 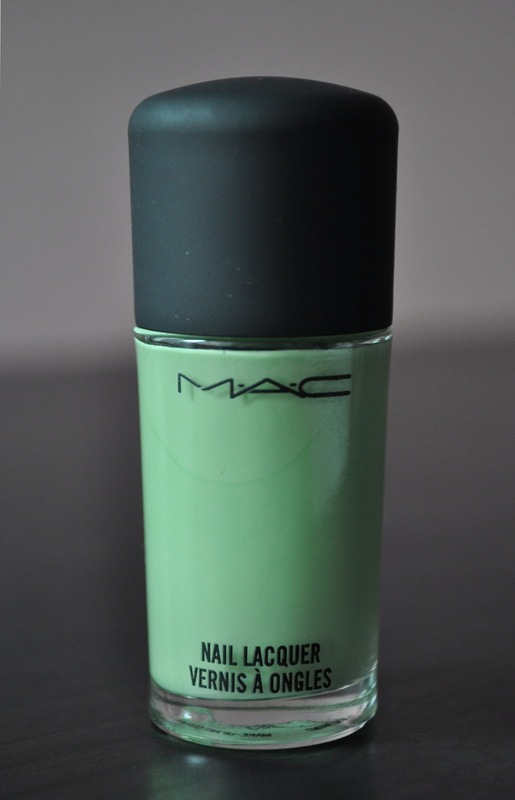 If you ever find this color on sale somewhere...buy it! I really need to start posting more of my mac collection. Hopefully you'll enjoy it :D I really been loving this color recently.